Ryals Drug Store has served the citizens of McRae Helena and Telfair County for over 125 years. 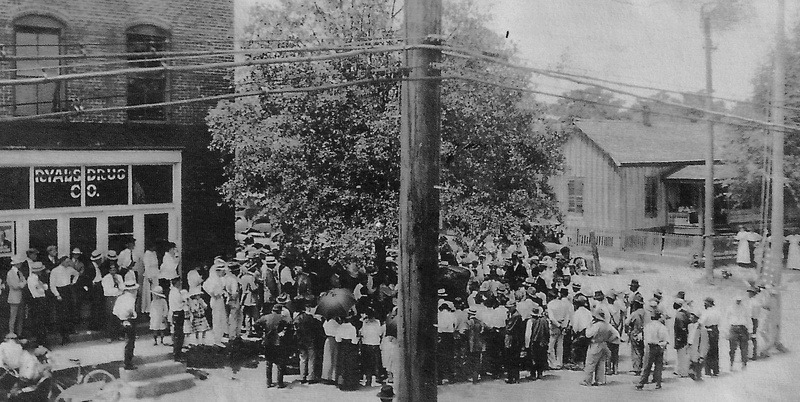 The business was opened in 1889 by Chester (Ches) Ryals, Sr. after he purchased the Telfair Drug Company. Ryals was nineteen years old at the time of purchase and had worked as a clerk in the Telfair Drug Company. 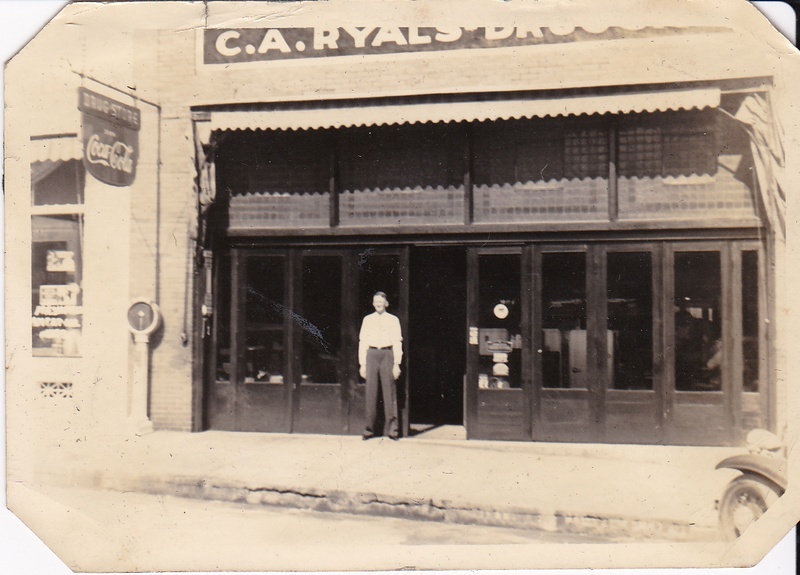 The name was changes to C. A. Ryals Drug Store and was located on the corner of Third Avenue and Oak Street in what was, at that time, McRae, Georgia. He operated the business at that address until 1923. In 1923, Ryals moved the drug store to second Avenue where it continues to operate today. He had the store built for this purpose. Chester Ryals, Sr. died in 1954. The business was left to his two sons, Chester A. Ryals, Jr. and Clay Ryals. Both sons had worked in the drug store through their high school years. Ryals, Jr. managed the store while Clay served as the registered pharmacist. Clay Ryals died in 1965 and Ryals, Jr. became the sole owner. 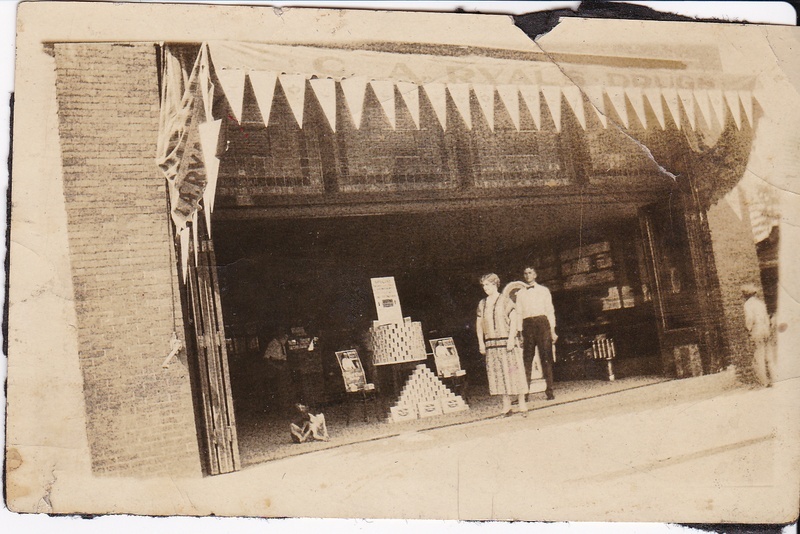 It was probably at this time that the store became known simply as Ryals Drug Store. In addition to serving the pharmaceutical needs of the community, Ryals Drug Store had a soda fountain where patrons could purchase cold drinks and ice cream among other amenities. Next door, in a building owned by Ryals, was a sandwich shop ran by Jessie McDuffie. The store on Second Avenue had a unique feature. The building was equipped with accordion-type doors. In good weather, the doors could be fully opened exposing the entire front. In inclement weather the doors could be closed, and entry was made by a single door. The photographs below show this door arrangement. There was one special place in the drug store that everyone knew about. It was the “Old Timer’s Bench”. 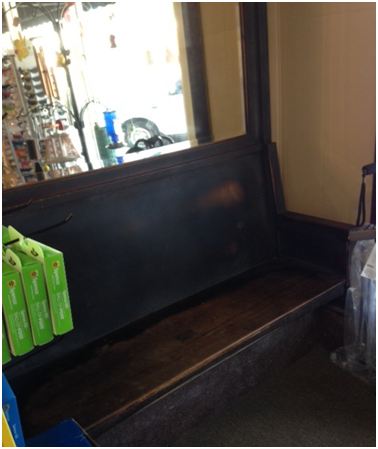 The bench was located in the front corner of the store to the right as one entered the establishment. This bench was occupied nearly every day by retired citizens who came to solve the world’s problems. Younger men occupied chairs close by to listen to the tall tales and world problem solving discussions going on. In June 1971, the drug store was sold to Dr. Mickey Nelson. Dr. Nelson was a son of Wheeler County and graduated from Wheeler County High School in 1961. He attended Middle Georgia College and the University of Georgia where he received his B. S. degree in Pharmacy in 1966. He previously worked at McVey’s Pharmacy in Cochran and at McRae’s Pharmacy in McRae. In 2013, Dr. Nelson sold the pharmacy to Hugh Yawn, a Telfair County native. Dr. Yawn completed an extensive renovation of the store and added a gift shop in the building next door, connected to the pharmacy by an open doorway. The business retains the name Ryals Drug Store and still provides the same courteous and efficient service to the community as has been the tradition since its inception by Chester A. Ryals, Sr. way back in 1889.